Restaurateur, Surender Singh - A Hotel Management Graduate started his career in 1993 with Hyatt International, New Delhi at La Piazza, the hotel’s signature Italian Restaurant. During Surender’s tenure the Restaurant was the recipient of the Best Restaurant of the Year 1996 award. Thereafter, he moved to Singapore as a Restaurant Manager in a fine dining Restaurant from 1997 till 2008. 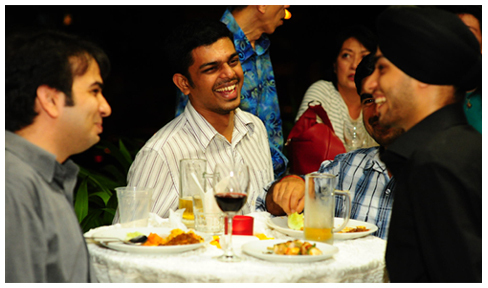 His charismatic personality and interpersonal skills scaled the restaurant to greater heights. Surender’s flair for customer service and passion for the F&B industry inspired him to start his own restaurant. Tandoori Corner was conceptualized to provide value for money and excellent quality food. Tandoori Corner –Promises to serve fine dining quality North Indian food in a casual setting.